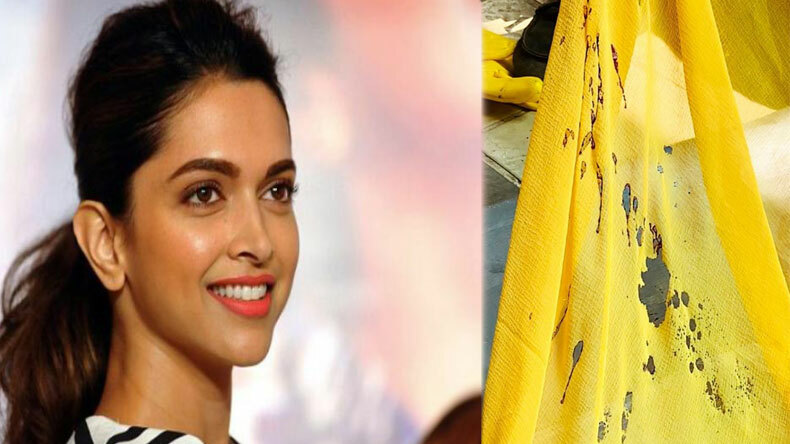 After a long break from the film industry, Deepika Padukone is all set to portray the role of an acid attack survivor, Laxmi in the movie Chhapaak. Meghna Gulzar, the director of the film recently shared the first photo from the preps of the movie. The film will also be the first production venture for Deepika. After breaking the Internet with their wedding pictures in 2018, the lovely couple Deepika Padukone and Ranveer Singh are all set to create a buzz in 2019 with their work. Following the path, Ranveer Singh’s movie Gully Boy has released today February 14 and it has already garnered a positive response. Many celebrities also came up to praise the role of the lead actors of the film. Deepika after her long break from the industry. is all set to hit the silver screens by depicting a role in a different genre film Chhapaak. Recently, the director of the film, Meghna Gulzar took to her official Instagram handle to share the first photo from the preparations of the movie. Though the photo is not related to Deepika appearance, it is very intense and deep. In the photo, a yellow fabric can be seen with some acid stains on it. The picture has caught the attention of many and it seems that the movie will create wonders more than it is expected, after watching the curiosity level of the fans on the picture. Some time back, Meghna also revealed saying that the movie will make you witness a disfigured Deepika Padukone, which will happen for the first time. The film revolves around the life of an acid attack survivor Laxmi Aggarwal who currently runs an organisation Stop Acid Attacks. As per reports, Deepika will work opposite Vikrant Messy.